Visitors will have a fabulous time celebrating Christmas when they come to Lake Powell in the winter. The weather may be a little chilly, but because Arizona has relatively mild temperatures, visitors will not be uncomfortable. There are several great geological features to enjoy while here, and because it's Christmas time, visitors can be thankful for all the blessings that have been provided in their life and give their loved one a present while they're here. Celebrate the holiday spirit by gazing up at the stars and seeing the reflection on Lake Powell below. The area is beautiful at night, as the dark waves lap up against the coastal cliff faces. There area several arches in the area, including the Rainbow Bridge. Several other places such as Castle Rock and Tower Butte provide great pictures and general sightseeing areas as well while visitors are here. 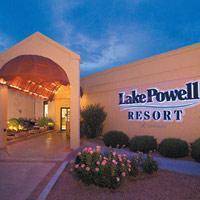 Celebrate Christmas at Lake Powell today!